Even though we don't want to deny our furbabies their playtime, be it in the rain, in the creek or just some treasure in which to roll around, we do want them clean to be in our homes. A once a month bath is the general guideline for dogs unless they got into something smelly or muddy. You don't want to overdo a good thing and end up stripping the natural oils from the fur. 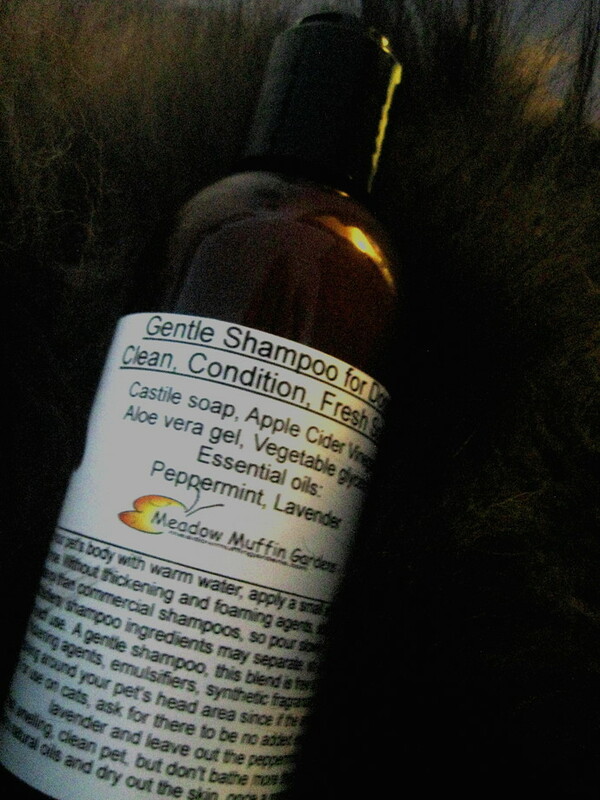 The added essential oils are peppermint and lavender. These two scents are very pleasant yet serve other functions as well. Both will help deter fleas and biting insects as well as soothe existing skin inflammation. If you plan on using this shampoo on a cat, please request that only the Lavender be added or to leave out essential oils all together. Enjoy your fresh smelling pet!